The ideal essential for those who like to live life outdoors! 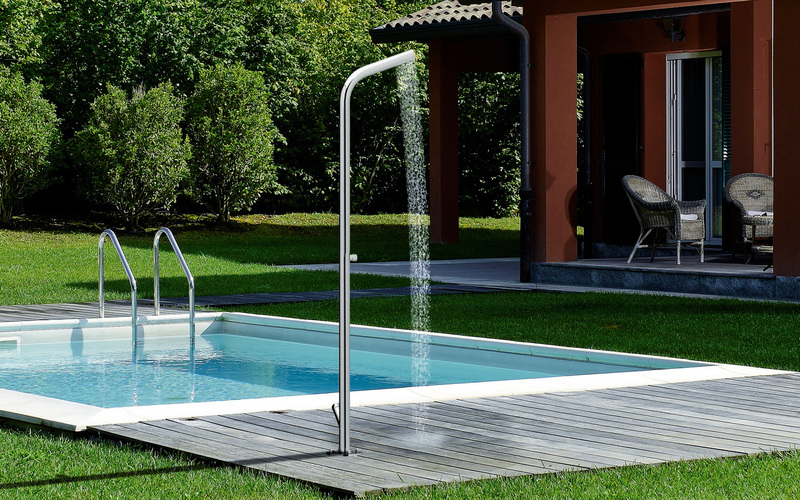 Aquatica’s elegant, new, slimline stainless Gamma-515 freestanding outdoor cold water shower features both a self-closing tap and a self-closing foot washer jet for a quick and easy rinse-down after a busy time at the beach, boating, gardening, sport or round the pool. The water system is operated by a push tap system, which when pressed delivers a 20 - 25 seconds stream of cold water that shuts off automatically, a great feature where water supply is limited. If you want to add hot water to the system you can purchase and install an additional thermostatic mixer. The very clean style and single-piece construction of this shower’s design have been attractively rendered in stainless steel AISI 316L, tough outdoor grade stainless with added molybdenum for significantly increased corrosion resistance. 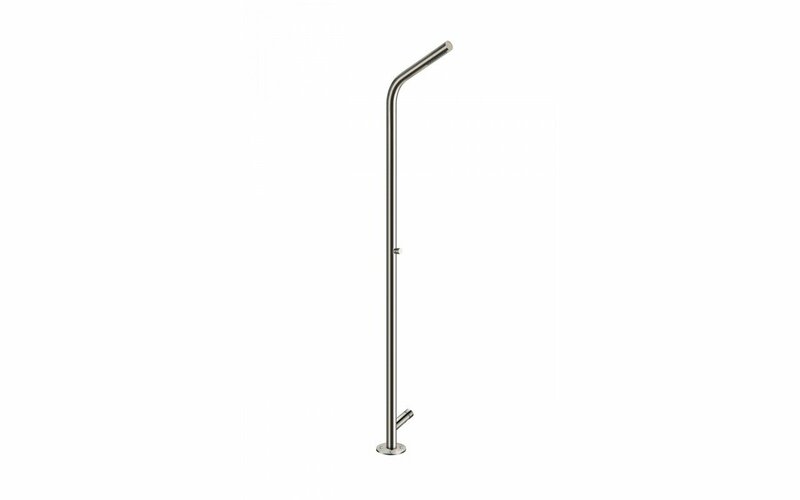 The shower column of Gamma-515 comes with its own ground fixing and water supply system and an integrated water emptying system. The built-in shower jets have anti-lime nozzles. It stands 2.2 metres tall, and is a slim 60mm in diameter. An additional thermostatic mixer is available as an option should you wish to add hot water to your system.